In 2006, Ms. Thomas was a single mom struggling to support herself and her two sons, Dylan and Jackson, on Social Security and child support. She learned about the Bucks County Opportunity Council, Inc. at a Head Start parent meeting, and she set up an appointment to find out more. 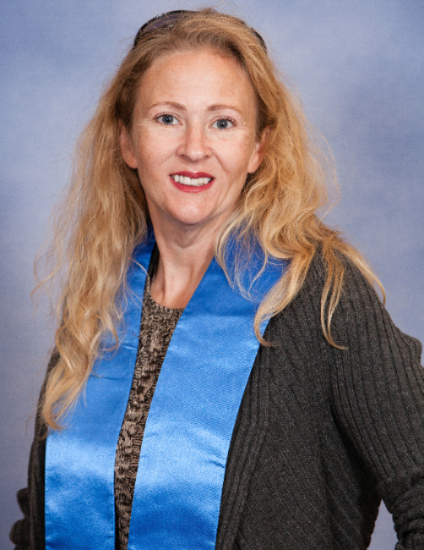 Ms. Thomas felt that the Economic Self-Sufficiency Program would be a good fit for her since she had recently enrolled in classes at Bucks County Community College with a goal to earn her Registered Nurse Degree. Ms. Thomas completed the pre-requisite courses for the RN program and was accepted into the clinical portion of the program in the fall of 2010. The clinical component consists of Nursing 1, 2, 3, and 4 – each a semester long. She was excited to think that in only two more years she would complete school and be working as a nurse. Ms. Thomas started clinicals and excelled in Nursing 1 and 2, but an unexpected medical condition caused her to withdraw from Nursing 3 in the fall of 2011. In the nursing program, if you cannot complete a section, it is not as simple as restarting the next semester. Ms. Thomas had to retake Nursing 2, test for admission back into the program, and then restart Nursing 3. Not only did it push her plan back a whole year, but she was not eligible to receive financial aid for Nursing 2 or 3, so this cost had to be paid out of pocket. Her grades remained high, but again she became ill, forcing her to withdraw from Nursing 3 a second time. She completed the cycle a second time – working to get herself healthy while waiting the year before she could reapply to the program. With dogged determination and a budget that ran on fumes most of the time, Ms. Thomas reapplied, again, for Nursing 3 in the fall of 2013. She did not have the resources to pay the tuition, however, and was out of options for financial aid and student loans. Thankfully, she was eligible for a unique scholarship through BCOC and BCCC called Gateway to Economic Self-Sufficiency. This scholarship assisted with tuition while another opportunity, the Mason Fellowship, provided the resources of transportation, food, and supplies. Ms. Thomas successfully completed Nursing 3 and 4 and graduated from the program in May 2014. Ms. Thomas passed her licensure exam on the first try and is now employed as a Registered Nurse at a local psychiatric facility. A testament to perseverance, Ms. Thomas reminds us all that despite setbacks, all things remain possible to those who never give up! Ms. Thomas is thankful for the help she received from Bucks County Opportunity Council’s self-sufficiency program. She finally feels that she has accomplished her goals!